Plymouth.....where the south shore of Massachusetts began. The hiking trails here are many and they should prove to be educational as well! There may be as many as 50 areas with hiking trails here in Plymouth. This town is the bounty area for this activity as well as many other enjoyable activities. 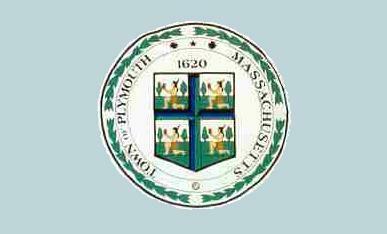 Plymouth's land area is the largest on the south shore, perhaps in the state. Plymouth is approximately 40 minutes from Boston to it's early northern border and extends down just a few miles short of the cape cod canal. Getting to Plymouth is best done by Route 3 and then accessing route 3A for coastal areas. to the northern western side of Plymouth. are Long Pond Rd and Federal Furnace Rd. 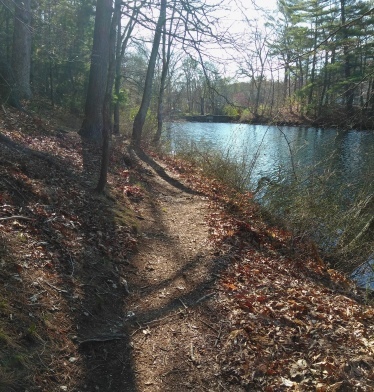 While there are many conservation lands in the town of Plymouth,the Myles Standish State Forest contains a large share of those hiking trails. Along with hiking you will find biking trails, ponds for fishing and swimming and campgrounds surrounding many of the ponds. This area is shared with the town of Carver. Most of us have studied the history of how our country was settled, and a thorough study could go on and on. Here I will cover the basics and try to add something interesting that I found. In the early days it was known as Plimoth, the colony that was discovered in 1620 by the Pilgrims. This early colony initially took most of the eastern seaboard when it was settled. Although it did not take long before other towns were established from it. Duxbury and Bridgewater being two of the first towns to do so. During the same time period that Plimouth Colony was being settled there were also other settlements in Virginia being established. Usually when a venture of this sort was concieved at that time, it was a business venture with financiers in the mother country. The colony in Plimouth had their financial backers in England but what was different as it was religious freedom that backed this journey not investment desires. The roots of this country are founded in freedom so it is fitting that when the start of this country is studied the role of the Pilgrims seems to be so prominent. It is interesting to know that these people did not refer to themselves as Pilgrims, as we commonly know them as. Rather they referred to themselves as first comers and others commonly referred to them as Separatists for the way they practiced their religion. The term Pilgrim was attached to these settlers later. Their first flight from England to practice their religion peacefully took them to Leiden Holland. They stayed here for a number of years even thriving til internal upheavel in the country made them feel a need to move once again. Returning to England for supplies and more members of their group, they left in two ships, the Mayflower and the Speedwell. The Speedwell developed problems and they were forced to continue on in cramped conditions on the Mayflower. If that wasn't problematic enough,they were set off course, arrived at Provincetown but were pushed out by Native Americans in that area and finally settled in Plymouth at the end of December, not exactly optimal timing in New England weather! What they did have in their favor is finding a land that had once been inhabited by Indians but their numbers had been heavily decimated by a plague. This land had been inhabited for thousands of years and more recently of the Patuxet tribe of the Wompanoag Indians. This land already had extensive trails and garden areas clearly defined including food leftover from the former inhabitants. If the plague had not affected these Indians most likely the Pilgrims would not have received any welcome here. That first winter proved to be perilous for the Pilgrims as almost half of the original members died that year. The fortune of the Pilgrims turned again as they were introduced to Squanto or Tisquantum an Indian of the original Patuxet tribe that had been captured several times, taught English, been trained as a guide, and been introduced to Christianity. Squanto, coming home from captivity once again found his village empty and those he knew gone and white settlers in his people's place. Having become fluent in English, he was able to introduce himself. It is believed that he decided to make the Pilgrims his people teaching them to plant corn and use fish as a fertilizer using native american techniques. He most likely was instrumental in the survival of those first settlers. Especially so as he arranged a meeting with Sachem (chief) Massasoit which led to a peace treaty between the two peoples. And survive they did, as in the years to come many more boats with settlers arrived and the area of New England did continuously grow! In those early years farming and fishing were important to survival. A fur trading business helped pay debts off for the voyage and establishment of the colony. Fishing remained a primary industry with shipping developing later. Into the 1800's Plymouth's largest industry became the rope-making industry. The Plymouth Cordage Company became the worlds largest rope-maker! By the mid 1800's the railroads had taken over much of the shipping industry. The railroads originally were used for freight and traveled more so inland than to a coastal community. There was one line made to Plymouth in 1845 though. Plymouth was mostly an isolated town for many years. Soon automobile roads would be developed and tourism followed. Many who lived in the city made it a weekend venture to visit coastal communities. Soon tourism would take over as the primary industry and continues to this day. All this tourism and history lead well into a hiking trail system! 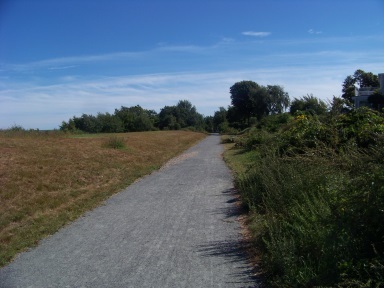 North Plymouth Rail Trail or the Sea Side Trail is a wonderful way to get a first taste of Plymouth hiking. This trail runs along the shore of Plymouth Harbor with views of Plymouth Beach, Clarks Island, Saquish and the Myles Standish Monument in Duxbury! 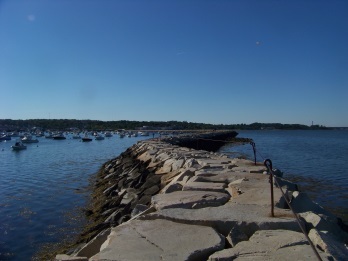 Plymouth Harbor Breakwater add this to the Sea Side Trail for a full day of hiking and sightseeing! Add in lunch at one of the restaurants and it's a full day in Plymouth! Just a short distance away from the more heavily used Sea Side Trail and Nelson Park is this gem of a forested trail around two artificial ponds. A favorite fishing spot of many!